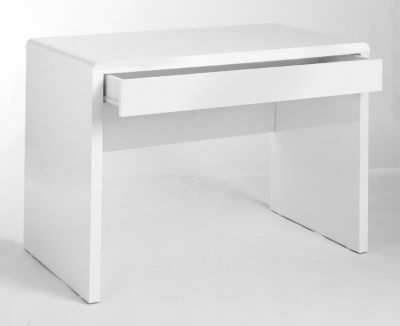 Stunning White gloss desk with a full length drawer under the desk top Includes an integral modesty panel and a side panel leg design. Available from stock for a free next day delivery. Easy self assembly. 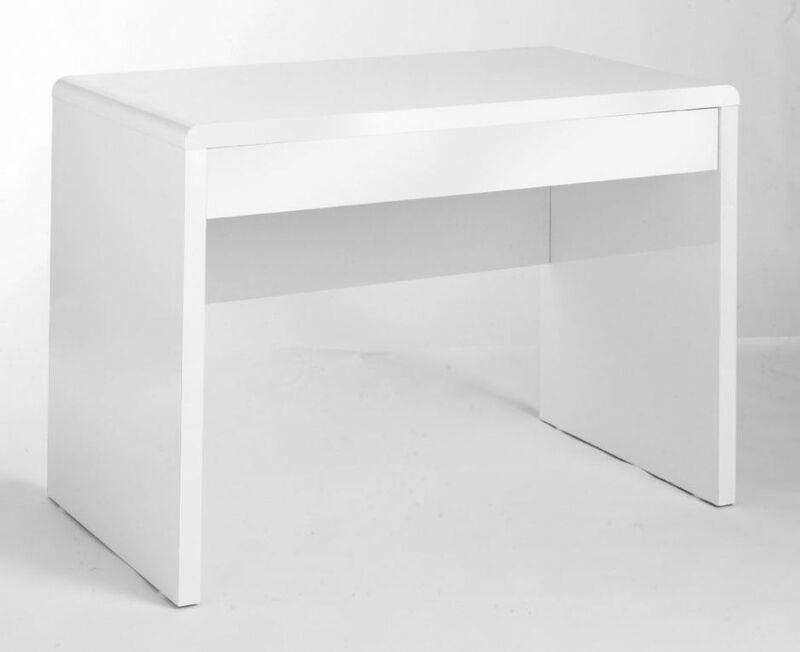 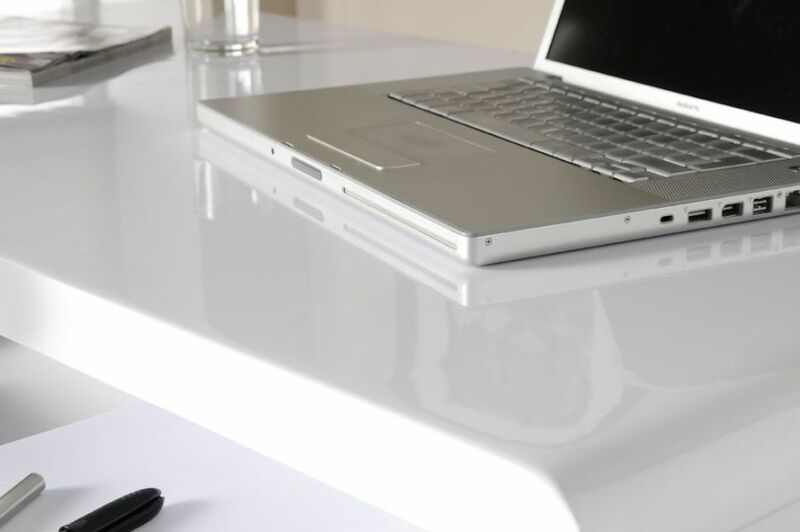 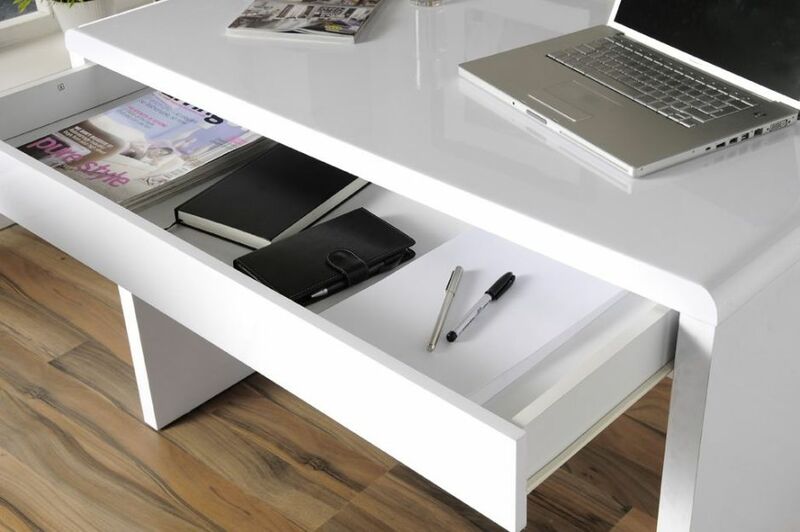 Affordable High Gloss White desk that has been manufactured in the UK and is delivered free to any address within 3-5 working days from the date of order.